Ganesha Chaturthi is a 10 day Hindu festival celebrated on the birthday of Lord Ganesha, the elephant headed son of Shiva and Parvati. It is believed that Lord Ganesh bestows his presence on earth for all his devotees during this festival. It is the day Shiva declared his son Ganesha as superior to all the gods, even to Vishnu, Lakshmi, Shiva and Parvati. Ganesha is widely worshipped as the god of wisdom, prosperity and good fortune and is traditionally invoked at the beginning of any new venture or at the start of travel. During the 10 day Ganesh Chaturthi festival, different traditions and rituals are performed by the people: Usually Ganesh Chaturthi starts with the installation of Ganesh statues in colorfully decorated homes and specially erected temporary structures. These are decorated specially for the festival, by using decorative items like flower garlands, lights, etc. 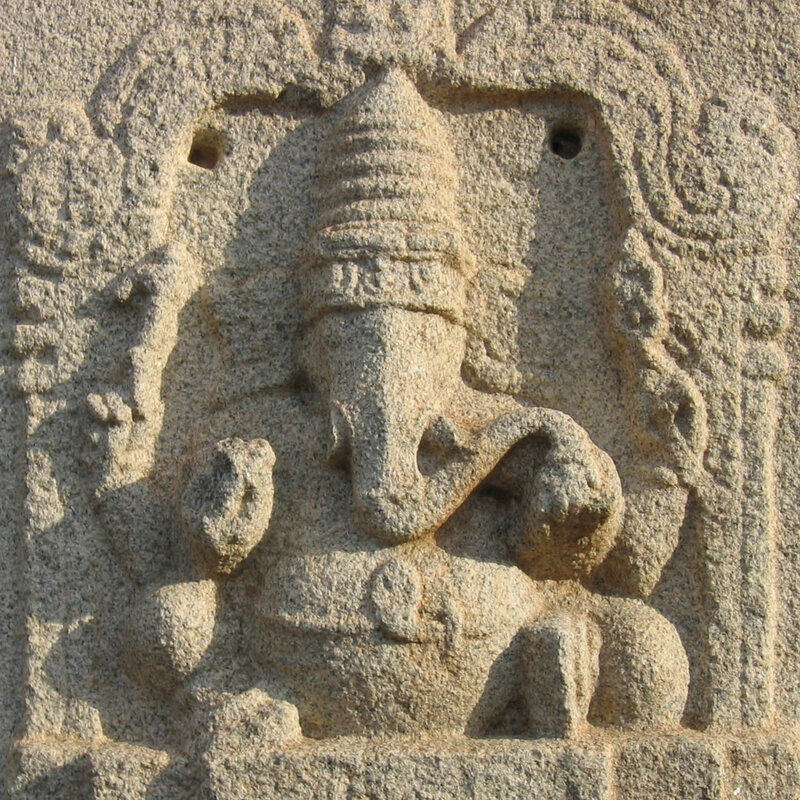 The priest then invokes with the chanting of mantras the presence of Ganesha, using the statue as a channel, or body for his energy. After this ritual, coconut, jaggery, modaks, durva (trefoil) blades of grass and red flowers are offered. The statue is anointed with red unguent, typically made of kumkum and sandalwood paste. Throughout the ceremony, Vedic hymns from the Rig Veda, the Ganapati Atharva Shirsha Upanishad, and the Ganesha stotra from the Narada Purana are chanted. At the end of the festival the Ganesh statue is immersered in a body of water. The main sweet dish during the festival is the modakam or kudumu. A modak is a dumpling made from rice or wheat flour with a stuffing of fresh or dry-grated coconut, jaggery, dry fruits and some other condiments.